In Holland, Dan Crowley scored his first Eredivisie goal since April 2017 as he scored the only goal of the game as Willem II beat Gronigen. The former Arsenal midfielder spent the second half of last season on loan at second-tier side Cambuur but is now back in the top flight and making an impression. In the second division in Holland, there were debuts for Brandon Ormonde-Ottewill and Ryan Seager for Dordrecht and Telstar respectively. There was also a debut for Patrick Roberts in La Liga for Girona, as he played the last ten minutes in a 0-0 draw with Real Valladolid. 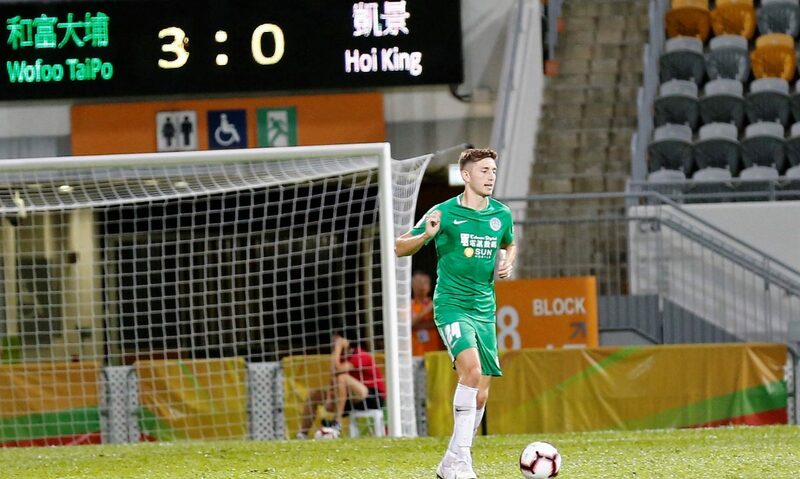 In Germany, Jake Hirst made it back-to-back games finding the the back of the net as he scored in Kickers Offenbach’s 5-2 win over Hoffenheim II in the fourth-tier of German football. Staying in the fourth tier and another 5-2 scoreline but this time in France. Jonathan Panzo scored his first goal for Monaco II as they lost to Lyon II. The 17-year-old centre-back was making just his second appearance for the French side’s second team. In women’s football, Jessica King scored her first goal since joining Norwegian side top-flight side Kolbotn. The 26-year-old has formerly played in Germany having started her career at Liverpool. Rachel Daly also had a successful weekend, picking up two assists in Houston Dash’s 4-0 win the top-flight of football in America. Matthias Fanimo stole the show in the Slovenian second-tier as he scored four first half goals in an eventual 7-1 away win for his side Drava Ptuj. The former West Ham winger now has six goals in three games so far this season, a remarkable start to the campaign for him. In Belgium, George Hirst scored his first ever senior goal during OH Leuven’s 1-1 draw with Beerschot-Wilrijk. It was the 19-year-old’s third appearance for the second-tier side and it hasn’t taken him long to open his account. Surprisingly though, one man who wasn’t on the scoresheet this weekend was Bradley Wright-Phillips but he did provide an assist in New York Red Bulls’ 2-2 draw with Vancouver Whitecaps. Jay Bothroyd‘s Consadole Sapporo pulled off a remarkable comeback as they turned round a 2-0 deficit to win 3-2 against FC Tokyo. The former Cardiff City man set up the his side’s third as they completed the turnaround. Finally in the USL, Jack Barmby provided his second assist of the season as Portland Timbers II thrashed Seattle Sounders II 4-1. Max Elliott was on the bench for Timbers II. Next PostNext Lewis Hilton: I have the best job in the world!